Heavy clashes resumed in Syria after the truce officially collapsed on September 19. The Jabhtat Fatah al-Sham (formerly Jabhat al-Nusra) terrorist group and its allies launched a full-scale advance against the Syrian army, the National Defense Forces and Hezbollah in southwestern Aleppo. The Syrian and Russian air forces responded with resuming air strikes on Fatah al-Sham, Fatah Halab and Jaish al-Fatah targets in the areas of Khan Touman, Khalsah, Tal Al-‘Eis and Qarassi and Aleppo’s neighborhoods of Dahret ‘Abd Rabo, Al-Layramoun and Bustan Al-Basha. Pro-government forces report that up to 120 air strikes have been conducted since the collapse of ceasefire. A Syria Red Crescent Society aid convoy (reportedly 10-20 trucks) was at Urem al-Kubra allegedly destroyed by an air strike in western Aleppo, according to pro-militant sources. There are conflicting reports about the movement of convoy. 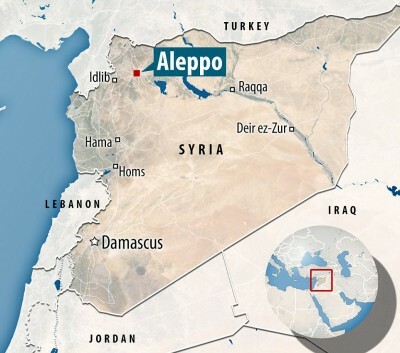 Western media say that the convoy was heading from the government-controlled western Aleppo while the purpose of such a direction remains unclear. There are no facts proving that the bombed convoy was authorized and inspected by the Syrian government and the UN. The released video of air strike scene has depicted a number of burning vehicles. Photos, released next morning by pro-militant sources and aimed to prove that this was a humanitarian convoy, do not contain traces of fire situation. Whether this was a humanitarian convoy or not, this incident indicates a new rung on the escalation ladder and will be used by the US-backed militant groups and Washington to prove that they were not responsible for the collapse of cessation of hostilities in Syria.